We hope you didn’t have any troubles making your way here to our new blog! This is our first post, which will be a quick trial post to make sure everything is up and running for our first week of CSA deliveries. We are really excited for the first CSA harvest tomorrow! 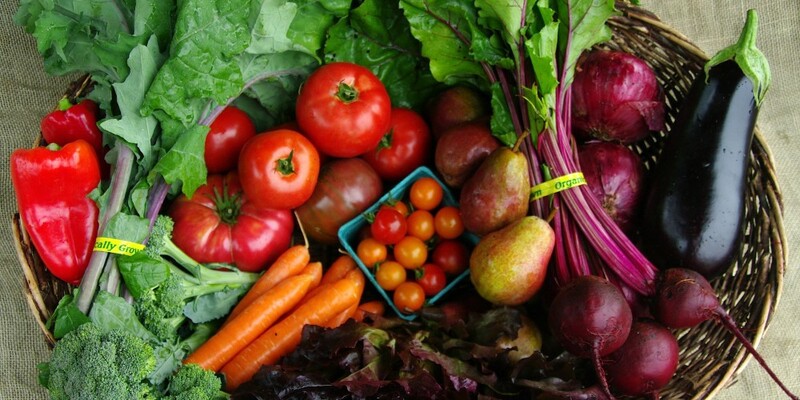 We have had such a beautiful Spring, and your vegetables are looking amazing. After two seasons of cold, wet weather early on, we don’t take this sunshine for granted. We feel full of optimism that this is going to be a great season, and we are so thankful for you, and your support in our farm. A lot of thoughtful planning and detailed preparation goes into our CSA. 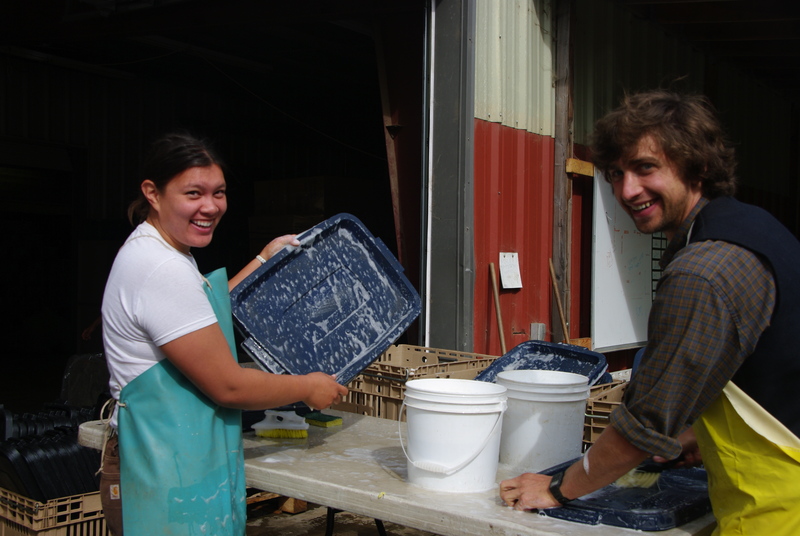 As you can see in the photo, Jennifer and Adam are washing all of the CSA boxes to make sure they are clean and ready to be filled with organic goodness this week! A few weeks ago the green house was full of starts ready to be planted in the fields, and the crew has been working so hard to get everything planted and watered. Your eggplants (pictured above), peppers, winter squash, and tomatoes have all been planted in the fields these last few weeks. It is always a wonderful feeling to see the greenhouse empty out into the field. 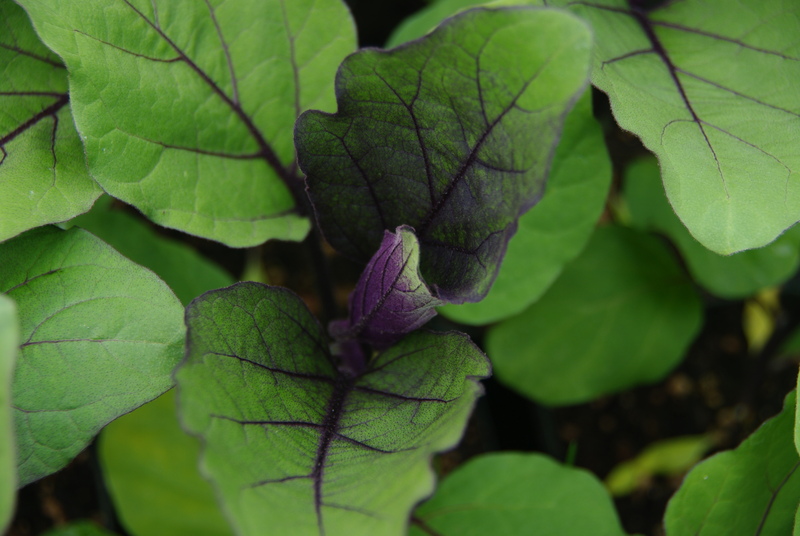 So much time and energy is spent to give the plants a good start on the farm, making them strong and healthy, ready to take off and grow as soon as they are transplanted. Tomorrow the crew will be gathering in the morning for our first CSA harvest! I will be getting the scoop on the harvest, and will be able to share this with you on Tuesdays, here on the blog. I’ll tell you about the vegetables in your box, give some recipe ideas, farm happenings and more. If you got here via your email, you should be receiving an email each week when the blog is updated to link you to the new post. If you are having any issues please let us know. We are new to the “blogosphere” and would really appreciate your patience as well as any ideas of things you would like to see here, or ways we could make this experience better. Thanks again for sharing the harvest with us, I’ll be writing again on Tuesday!